Liberal welfare states like Australia and Canada are often assumed to rely centrally on market mechanisms to provide welfare. Typically, in these countries, fewer obligations are owed by adult family members to other adults family members than in conservative welfare states. However, in the area of immigrant welfare, my research reveals that immigrant sponsors are increasingly bearing the brunt of financial costs of their parents and partners. Immigration selection policies place enduring contractual obligations upon adult immigrant sponsors to support their grown relatives, sometimes for long periods of time following immigration entry. These new forms of contractual obligations not only illuminate the stringent world of immigrant welfare provision, they also extend our understanding of familialism within welfare studies. Liberal welfare states typically do not place obligations on adult family members to provide for adult children, or parents. Such familial models of welfare are more likely associated with the conservative welfare states of countries like Italy and Germany. However, in recent years, leading immigration receiving nations such as Australia and Canada — also liberal welfare states — have recast their immigration and welfare laws to place heavy contractual burdens upon adult immigrant sponsors to provide for their adult spouses and parents. These obligations extend for many years after the initial point of entry, in some cases, in excess of ten. A central difference between migrants and citizens is, of course, that governments may use immigration in addition to welfare laws, to limit access to social rights by rendering immigration entry conditional upon delayed access to the welfare state. And governments have exploited the dual pincer effect of immigration and welfare policy to considerable effect. If we focus upon the laws that govern obligations from immigrant sponsors to their relatives, my research demonstrates widestanding contractual duties, in particular to parents aged over 65 and to spouses in both Australia and Canada. For instance, in Australia, sponsors must pay a bond of over $A35,000 per parent and commit to support their mother or father for up to 10 years post-settlement. In Canada, a spotted federalist welfare system has historically rendered the enforcement of similar obligations less effective than in Australia, where immigration and welfare are both national constitutional powers. That said, a recent legal decision by the Supreme Court of Canada (Attorney General Canada v Mavi 2011 SCC 30) does strengthen provincial capacity to enforce sponsorship obligations in the future. Interestingly, neither the Australian or Canadian government place welfare waiting periods upon access to child-based payments, potentially as such payments are viewed as more ‘deserving’ of support than unemployment or old-aged pensions. Looking at immigrant welfare through the lens of familialism offers new insights into broader welfare state studies. While the defamilialising effects of immigrant domestic labour for women’s labour force engagement through global care chains has been well documented, less commonly do we turn our gaze on new immigrant welfare rights in their host states. Yet, especially in settler societies, those of immigrant background make up a significant and growing percentage of resident populations and naturalised citizens. When we look at the obligations placed upon these groups, rather than birth citizens, we observe new lines of stratification in terms of access and obligations, based upon years of residency but also based upon obligations owed to different family members. Considering familialism through the lens of immigration also encourages us to think about how the state may enforce such obligations, including through bonds, charges and the use of immigration policy, in addition to welfare laws. The possible gender ramifications of familial binds arise strongly in this context. Contractually-enforced familial relationships challenge the autonomy of immigrant women to leave abusive relationships, particularly in light of the fact that women are overrepresented as dependents within immigration selection data. As a result of unpaid caring responsibilities and enduring gender pay gaps, female immigrant sponsors may also not lack the financial means to pay expensive bonds or maintain long-term financial obligations. The gender inequity of increased familialism within immigration and welfare laws was highlighted recently in the United Kingdom with the introduction of new income tests for family reunification sponsors set at a minimum gross annual income of £18,600. As pointed out by a variety of British based NGOs, these rules will be harder for women and those from certain ethnic minorities to meet. Yet, rules such as these are increasingly common as old and new immigrant states grapple with the opposing demands of high rates of immigration and contracting welfare states. 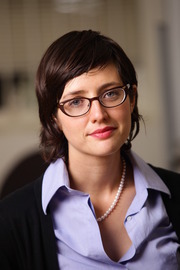 Anna Boucher is Lecturer in Public Policy and Political Science in the Department of Government at the University of Sydney. Her research covers the areas of immigration, gender and welfare studies and has been published in the Journal of Comparative Policy Analysis, Global Politics, International Migration, the Australian Journal of Political Science and Migration Studies. Her first book, Gender, Migration and the Global Race for Talent is under contract with Manchester University Press, forthcoming in 2015.